Beginning Tuesday, January 26, the religious satire The Book of Mormon musical opens at the INB Performing Arts Center and runs until Sunday, January 31, with a pre-show lottery making a limited number of tickets available at $25 dollars apiece. Dubbed by the New York Times as “the best musical of the century,” the show’s national lottery policy has drawn as many as 800 entries at some performances. With regular tickets ranging from $45 to $155, don’t grab your bike — run to the Performing Arts Center where you can enter the lottery two and half hours before the show. You must be present and have valid I.D. to purchase tickets when winners are later drawn. Fingers crossed. Cunningham and Elder Price (one of which hasn’t even read the Book of Mormon) travel to a village in Uganda to convert its people, only to find an uninterested society afflicted with AIDS, violence, poverty. The mismatched, tie-clad pair fuses expectation and comedic twists with such darling spontaneity that since the critically acclaimed Broadway premier in 2011, the show has continued its productions across the nation in high demand. 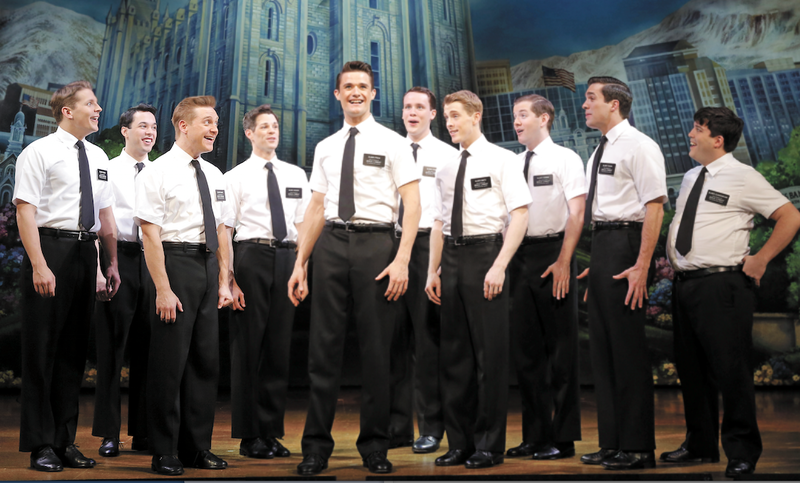 Featuring book, music, and lyrics by Trey Parker, Robert Lopez and Matt Stone, The Book of Mormon joins a long line of success for its authors. Parker and Stone are the creators of the animated series South Park, while Lopez is the co-creator of smash musical comedy Avenue Q. Expect to be entertained, perhaps even converted into a musical aficionado. Either way, you'll be dazzled with Broadway walking home.